When the going gets tough... I don't know what the tough do. 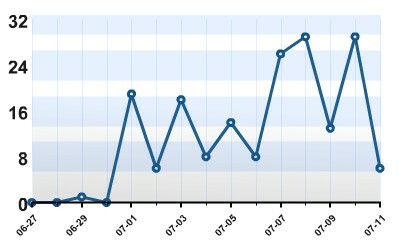 I thought this was uplifting – online for a week or two (except form signing up…) and I have gotten over a hundred hits. Well, atleast 20 of those are my onw, so the bragging will probably sky rocket if the hit counter keeps increasing.